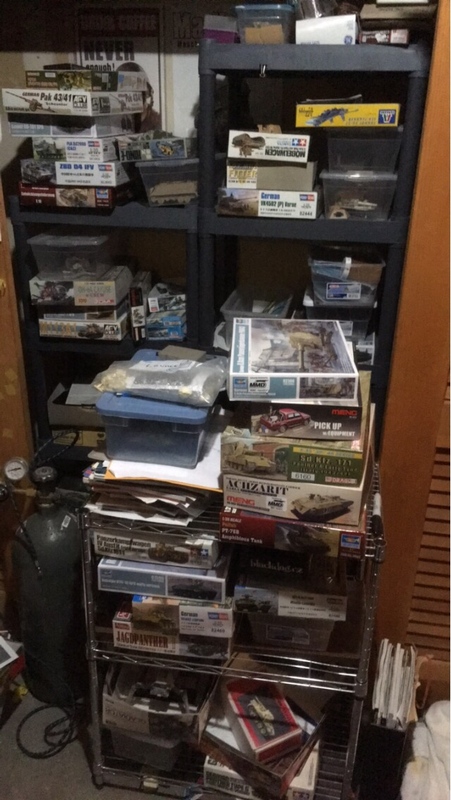 Armorama subjects only. Any unfinished kit applies. Any scale. I have plenty of these and I know some of you as well. Runs through all of 2019. I will continue with my Kettenkrad if I don't finish in 2018, otherwise I might try to finish something bigger like an M1 Abrams, M247 Sgt. York, or Merkava 1 (all Tamiya). Well of course I am in. I may get the SD.kfz.7/2 done in the next week, but it'll probably end up in this campaign, so put me on the list of shame. I'm in. 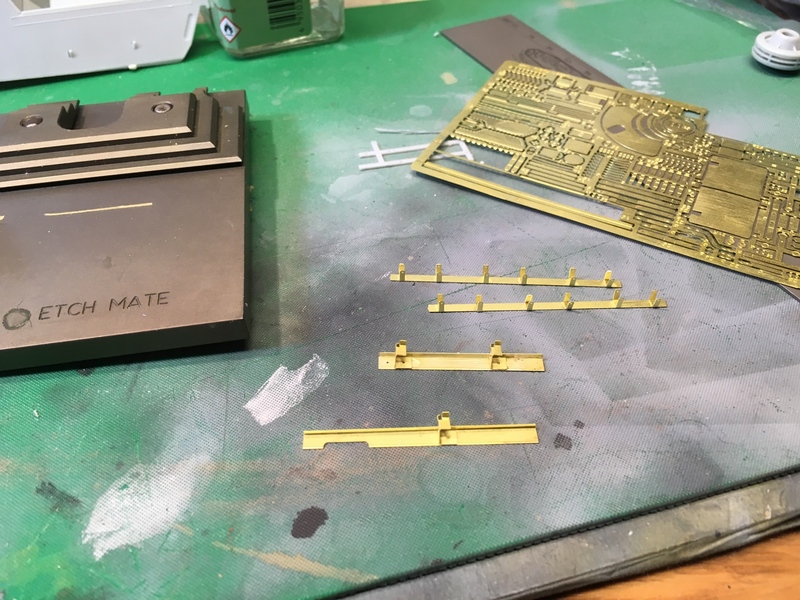 I'll continue my Tamiya 1/48 KV-II, I've been trying to get gloss coated this week. I'll probably put the decals on and then put it aside until after the New Year. I'm in. 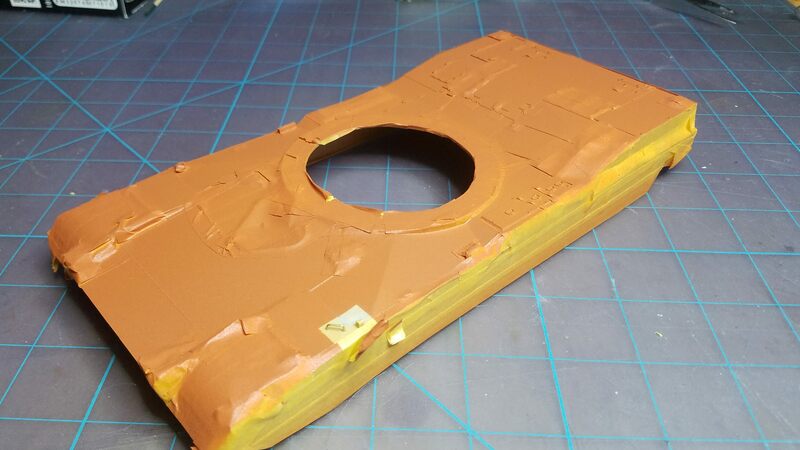 I hope to finish the Merkava next year. And maybe another one of my unfinished models. I'm in too, enough to finish. I think we have enough. I will submit the proposal. And a happy new year everyone !! Think I'll hop in with a Tamiya Jagdtiger to start. Got a few others kicking around as well. I have two M1A1 builds that have been shelf queens for some time. One Tamiya and one Trumpeter. Both are absolute turd kits by today's standards. 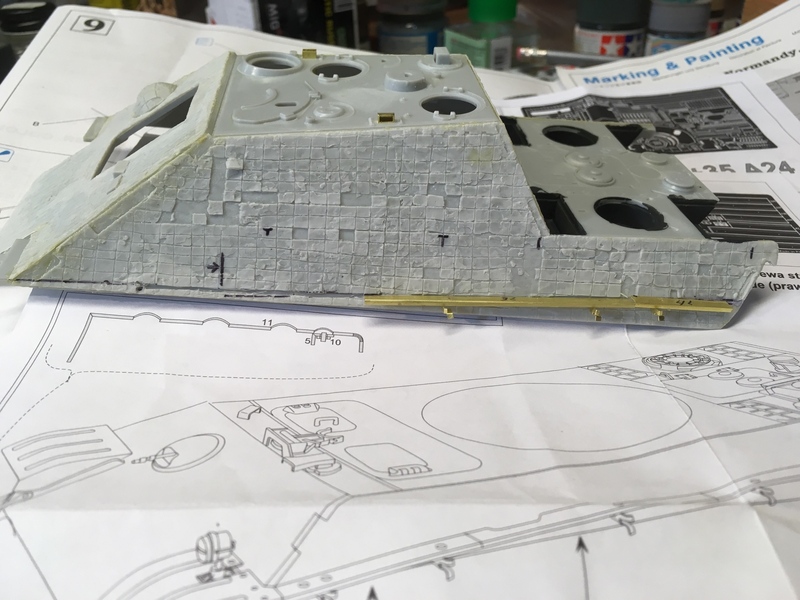 The Tamiya build was started back in Summer 1993 (before going off to college). I found the 95% complete model in my parents basement packed away because it was missing a few parts. 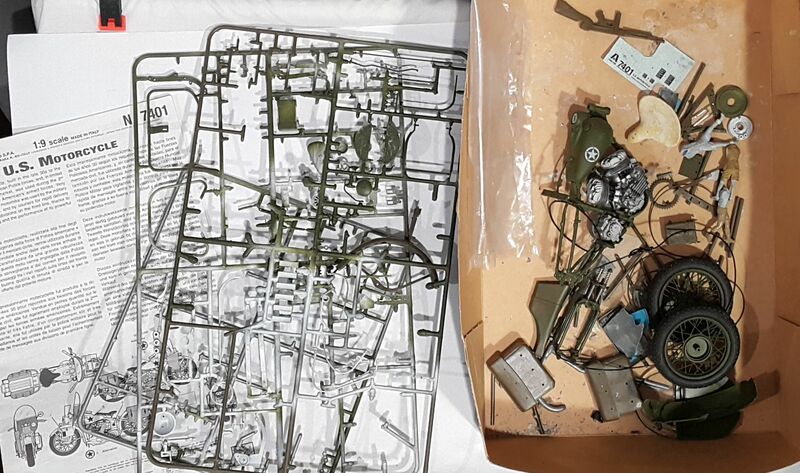 The Trumpeter kit was started in 2003 when it was once considered the best starting point for a modern Abrams kit. 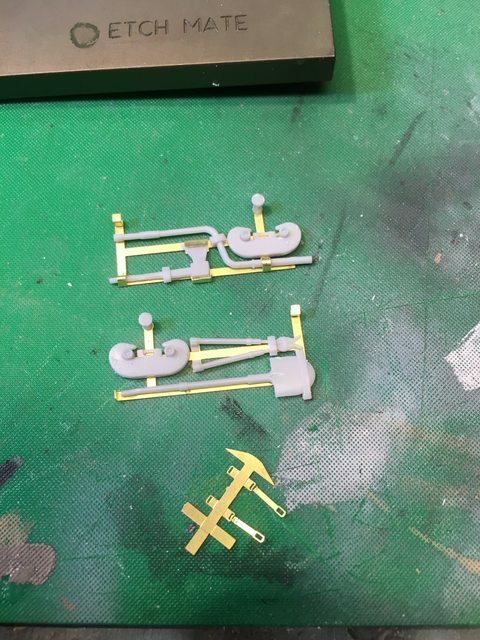 I'll probably do the Trumpeter for UFB 2019. 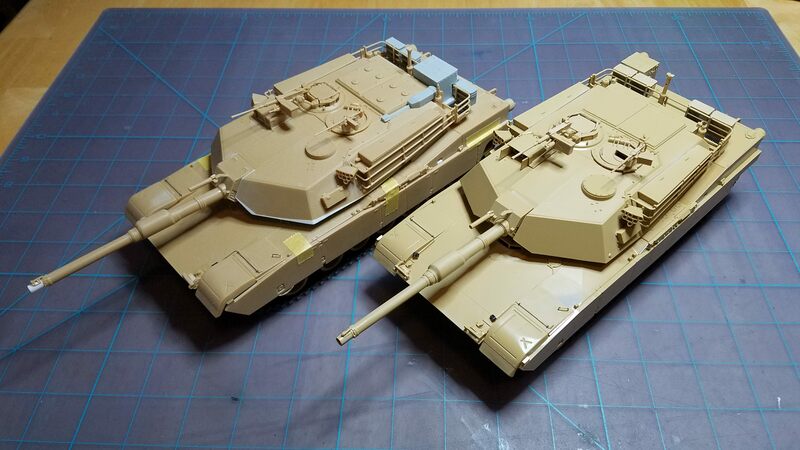 I did a ton of work on the two kits this past fall in anticipation of an Abrams binge build blog here on Armorama. I really enjoy resurrecting half finished builds from years past. 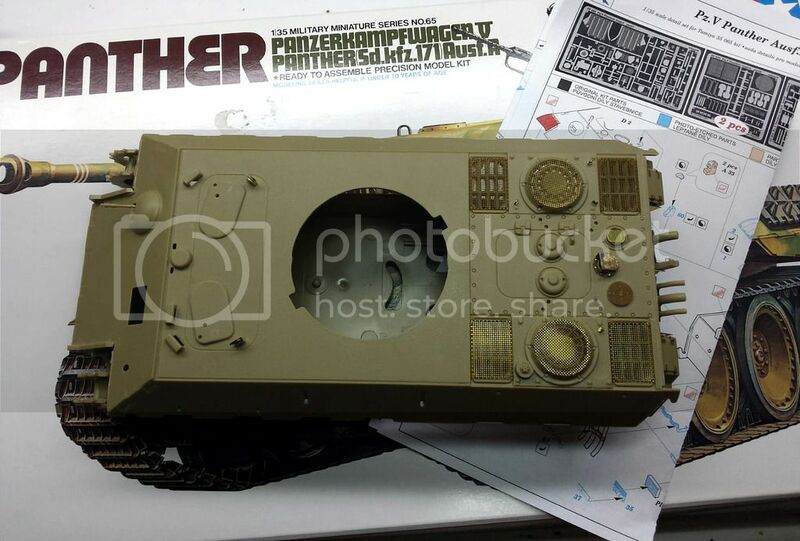 Ok, in with the old Tamiya Panther A plus Eduard PE. Kinda feels like a school detention club for serial non-finishing offenders! Latest passing fancy.. 15+yr shelf queen, DML Early Jagdpanther w Cavalier Zimmerit, Aber fenders and a Elefant turned barrel. Mike, looks like it will build into a cool model. I hope you finish it. treading that fine line between madness and laziness again. I'm NOT using those three-part Aber tool clamps and carving the molded on clamps off the kit parts, but I will add the pe 'handle' at the end. The time I saved on that, I spent on the 8 part milti-fold fire extinguisher bracket. That one I am leaving empty. Done for tonight, time for a beer! 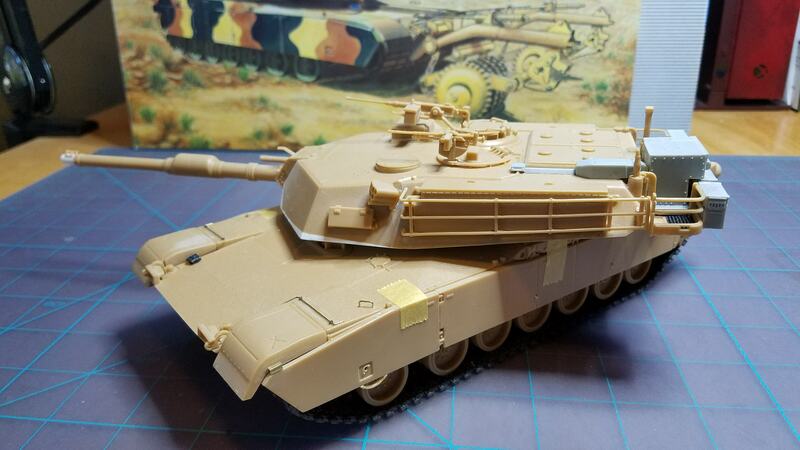 what did you use for the anti-skid on the Tamiya Abrams? The texture is perfectly to scale. Two light misting coats should do the trick. 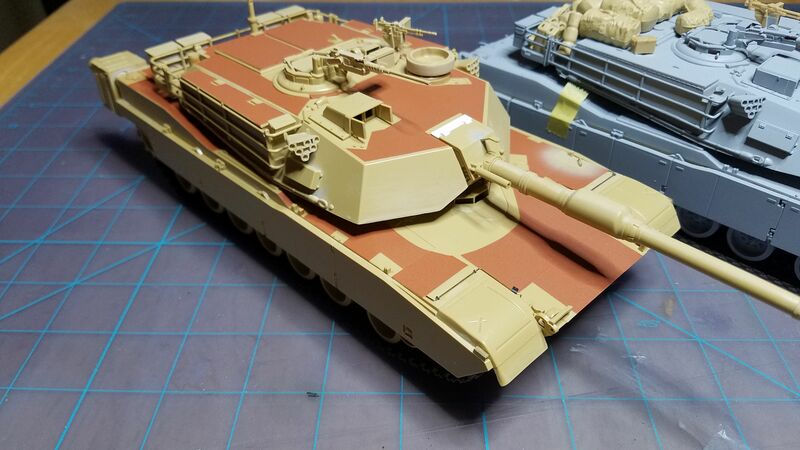 The old Tamiya kit probably isn't worth the effort, but It was a great chance to experiment with the process and it worked flawlessly. Shout out to Gino for the suggestion in some older threads. 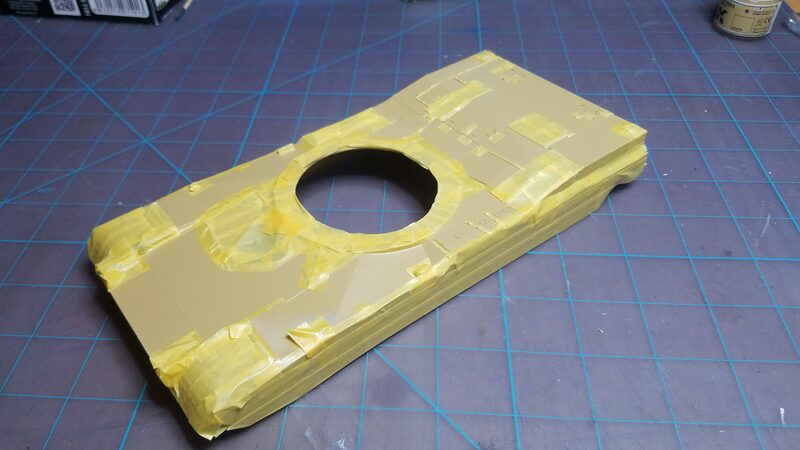 With your permission I'd like to switch my entry to a 1/537 scale USS Enterprise I started on last Summer for a friend of mine. I'm afraid this is an Armorama only campaign. Hopefully we can get more people on ModelGeek to make a "ModelGeek Unfinished" campaign.